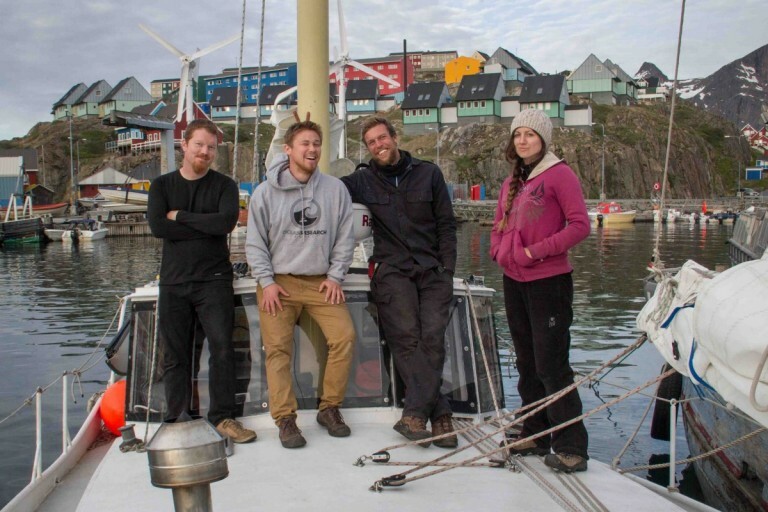 The Crew of R/V Ault in Greenland 2017. Welcome to The Shooting The Breeze Sailing Podcast episode number 68! Our guest this episode is Matt Rutherford of The Ocean Research Project. This is the third time chatting with Matt, he is such an interesting guy and always a fun conversation. He spent the past two summers on research missions aboard his home/research vessel S/V Ault up on the western shores of Greenland. Weathering life threatening storms, performing tedious research tasks, enduring the logistical nightmares of supplying such an endeavor in remote places, and sailing the awesome beauty of the Arctic. Between research sailing missions, running a Non-Profit organization, giving talks to places like the New York Explorers club, and delivering yachts, he also is now a Yacht Broker for Rogue Wave Yacht Sales, or rather the Rogue Wave Division of David Walters Yachts, located in Annapolis, MD. If you are serious about buying or selling an honest to goodness Blue Water cruising boat, see Matt and he will steer you in the right direction.